Ciara covers the May 2016 Mother's Day issue of Essence magazine. The singer looks like the epitome of spring, while she wears a floral jumpsuit on the magazine's double cover. 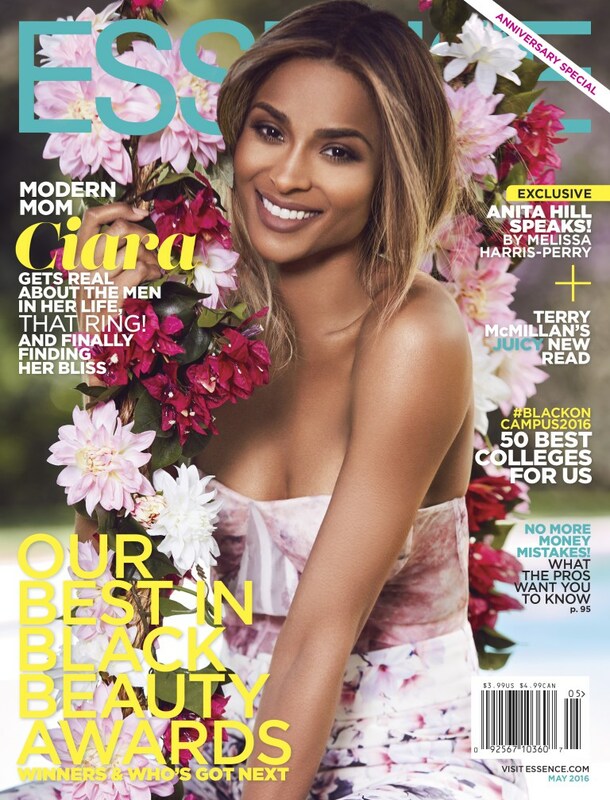 In this issue she talks about her planned pregnancy, her unplanned breakup, and her engagement to Russell Wilson. This issue hits newsstands on Friday!